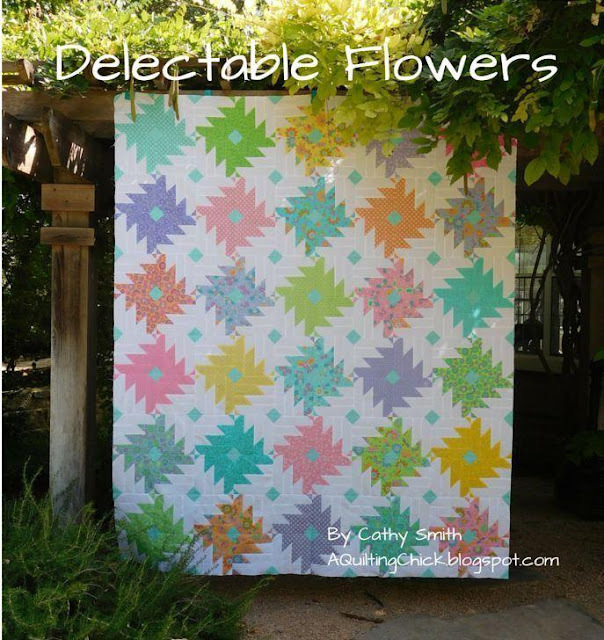 A Quilting Chick: Delectable Flowers - It's Finally Here! I'm beyond excited to share with you Delectable Flowers! This is my first (but not last) quilt for Moda Bake Shop! I've been waiting to share this with you for months and today's the day! This one was made with Hi-De-Ho! by Me and My Sister Designs and is so bright and cheerful and fun! Mom wanted it. Cassidy wanted it. Heck, I wanted it. But it's going to reside on the bed of a very special little girl, my niece, Charity. I love it so much! You can find the directions for this full size quilt over at Moda Bake Shop today. I put together a PDF with size options for crib/twin/queen/king and put it in my Etsy shop for those that are interested in other sizes. I have a 20% discount in the store to celebrate! Just use coupon code FLOWERS20. I'll leave that up until 8/15/15 so hurry over! 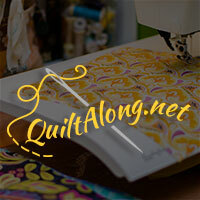 Today I'm linking up with Quilt Story for Fabric Tuesday, I Have to Say for Show and Tell Tuesday, Linky Tuesday at Freemotion by the River, and Sew Cute Tuesday at Blossom Heart Quilts. On Wednesday with Sew Fresh Quilts for Let's Bee Social. And on Friday with Crazy Mom Quilts for Finish it Up Friday, Fort Worth Fabric Studio for Fabric Frenzy, Link a Finish Friday at Richard and Tanya Quilts, and Can I Get a Whoop Whoop at Confessions of a Fabric Addict. I like your pattern, but I am confused as to what is the final size of the small block and of the four blocks sewn together. 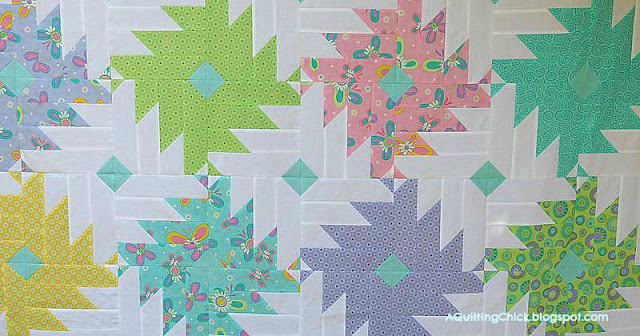 I am anxious to hear that you are going to give out the info for a baby quilt. My daughter is having a little girl in November. I like the fabrics you chose. Me and My Sister have great designs. Cuteness!! Thanks for the pattern :-) Love your choice of fabrics too. Congrats and it's really is a cool quilt! Congrats!! It is a lovely quilt! How exciting that you are doing designs for Moda Bakeshop! Congratulations. This is a great design and I'm headed over there right now. Lucky neice! What a beautiful pattern and lovely fabrics. Made it such a beautiful quilt. Congrats with the finish. I can't even imagine how thrilled you must be to have this up on the Moda Bakeshop! Congratulations, its just gorgeous. I love it. Beautifully done. Lovely colours! This is a very pretty quilt. Congras! The quilt is beautiful.